An inherited beach front property comes with unexpected trouble for a young couple. It’s funny, but the more I like a film the less I have to say about it; I’m not sure what that says about me or my particular brand of critical thinking but knowing this, the shorter length of this review should give you some indication of my feelings towards Inheritance. The opening titles play over the top of old-time photographs, which effectively sets the over-riding themes of history and family. An ordinary workday for carpenter Ryan (Chase Joliet) is interrupted by a stuffed suit explaining that the workman’s biological father has died in a surfing accident. It seems there’s an inheritance and Stuffed Suit is there to execute the deceased’s orders - leaving his Herald Point beachside mansion to his only existing heir. Ryan and his fiancé Isi (Sara Montez) can’t believe their luck while wandering the grounds with oohs and ahs, the spectacular view of the coastline explaining the $2.5 million dollar price tag of the sprawling property. Seemingly hiding an agenda is real estate agent Effie (the always reliable Dale Dickey) whose over bright smile almost slips when they say they don’t immediately want to sell. Ryan meets his second cousin Del (played by a menacing Drew Powell), who has let himself into the garden and is rooting around in the dirt for something. He is promptly sent away after said second cousin proves to know just a little more than he should about Ryan and Isi. Things start becoming a little strange for Ryan, with some blurring around the edges of his reality. In the bathroom he finds a pill that Dr Google explains is an anti-psychotic, but it’s not his or Isi’s; there are dreams of the people from the old-time photographs, his nerves becoming more frayed as the days pass. A dream about his father slitting his throat has Ryan jumping at shadows; outwardly all is smooth sailing but on the inside is turmoil and confusion. Visiting the next-door hippy neighbour (who asks if he’s dangerous before serving them both cocktails and welcoming him home), he learns of the people who stole the land - old white men who took the native women as property that the state eventually gave them guardianship over. “A lot of blood was spilled,” she says mournfully, tears in her eyes. They have Ryan’s sister and partner over for dinner and sis proceeds to get drunk and mouthy and pick fights with him until they both say nasty things to each other and dinner is over. It feels painful and real, both cutting at each other as only family can. Newly pregnant Isi is upset that brooding Ryan seems less than enthusiastic about their looming parental future, but he’s haunted by images of people past whom he sees lounging in his furniture or re enacting murders on his living room floor. The tension and unease builds to a crescendo as it naturally must, and Ryan discovers the true cost of his inheritance; and a terrible bloodline he cannot escape. In essence, Inheritance is an allegory for nature vs nurture, fate and the things woven into our psyche regardless of what we want. Is our fate determined by us or by our histories? Who really are we? 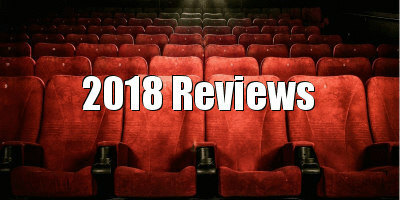 As written and directed by Tyler Savage in his feature film debut, this feels far more professional, assured and incisive than we have come to expect from an indie horror. The subtlety intercut with bursts of completely unsettling imagery or sound are masterfully played. The attention to detail (particularly in all aspects of the old-time photographs, especially when their subjects become interactive) is commendable, and the script is full of naturalistic dialogue and likeable, genuine characters, while the cinematography by Drew Daniels is simply lush and beautiful. Joliet - straddling that difficult ground between sullen and broken - is quietly devastating as Ryan; Montez as Isi is both vulnerable and fiercely passionate. 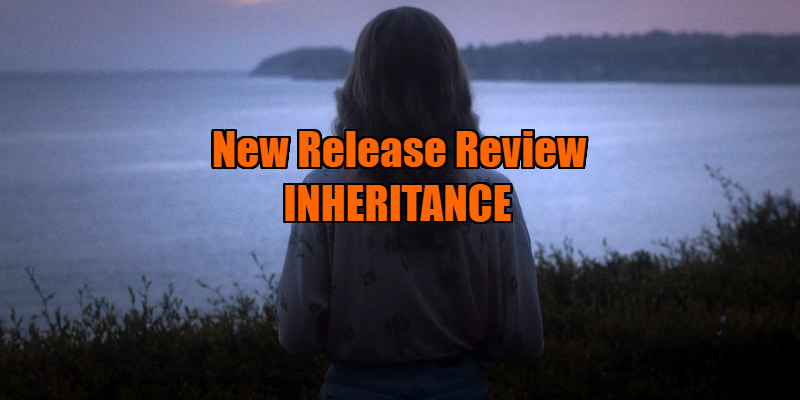 Sublimely lensed with careful, intelligent direction, Inheritance features brilliantly open and believable performances, and a strong, palpable sense of dread permeates the entirety of the film. This is a solid entry in the psychological horror genre, one made with care and patience, and it pays off in spades. 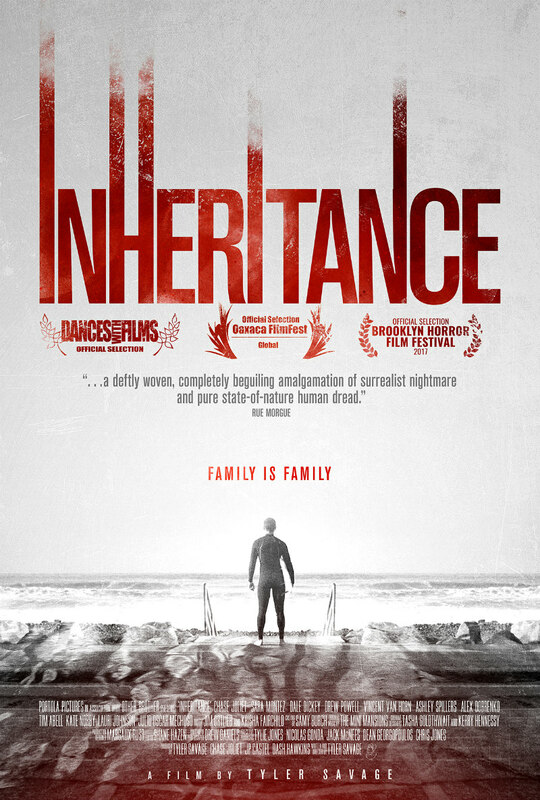 Inheritance is on VOD now.